Before entering the Promised Land, Israel was instructed to remain separate from the pagan people they would encounter there. They were to behave differently from the despicable Canaanites, who already inhabited the land that God had promised to Abraham as a perpetual inheritance. The book of Deuteronomy reiterates the Law of Moses to a new generation of Israelites, who were soon to enter the promised land, following their long, 40-year, wanderings in the wilderness. 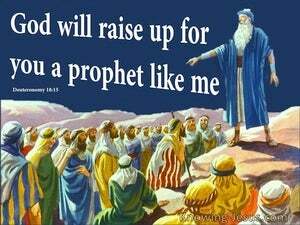 When God says something through His prophets, we should take heed of what they say. 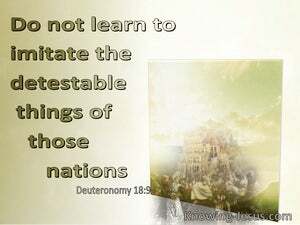 But when God Himself, restates a truth – multiple times, we should take especial note of what the Lord is saying. 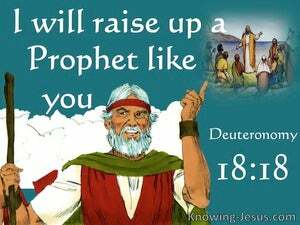 Only a few verse earlier, Moses had informed the second generation of Israelites that the LORD your God will raise up for you a prophet like me. He will come from among you. He will be one of your countrymen, and you shall listen to Him.